I’ve picked up Daniel, my bilingual seven-year-old, from his state-run základní škola (primary school) every afternoon for nearly nine months, but my palms still sweat as I approach the intercom to connect with the after-school-hours školni družina program. Daniel Potts, první A, prosím, I repeat over and over and over, willing myself not to trip over the still unfamiliar combination of consonants. I run through a list of possible questions they might ask, flip through my rolodex of vocabulary to see if I could even answer those questions, and finally give up and press the intercom button. “Dobrý den, Daniel Potts, první A, prosím.” Nailed it this time, but it’s a crapshoot, even after living in Prague and interacting in rudimentary Czech for three years. I didn’t stumble over my words, there are no follow-up questions, and Daniel is being sent downstairs from the afterschool classroom. Most importantly, the imposing woman who guards the foyer didn’t yell at me, or roll her eyes, or throw her hands up in frustration at the foreigner who can’t handle basic communication. I consider this a win. 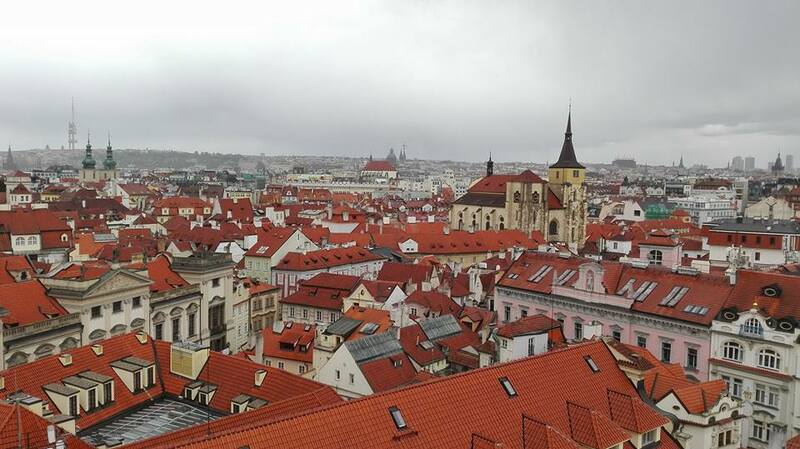 I am one of the nearly 6500 Americans who call Prague home. Expats—people who live outside of their native country for extended periods of time—tend to be transitory creatures, giving them little incentive to invest in language acquisition, so only a tiny percentage of those 6500 Americans get past stock Czech phrases, such as ještě jedno pivo (another beer) or—perhaps more appropriately—nemluvím česky (I don’t speak Czech). Before I moved to Prague, I considered it bad form for an expat not to learn the language of their adoptive country. I remember being aghast when I met a British expat who proclaimed matter-of-factly that she was giving up on learning Czech. “I’ve been here for ten years,” she said with a shrug. “If I haven’t learned it yet, chances are that I’m never going to learn it.” Being naïve and hopelessly optimistic, I dived into workbooks and online language programs, determined not to become yet another foreigner who mangled the language. I was smart, capable of hard work, and willing to put in the time. How hard could it be? As it turns out, Czech is one of the most difficult European languages for foreigners to learn. The Foreign Service Institute, which has created rankings of languages based on difficulty for English speakers, has deemed Czech to be a Category IV language, suggesting that it takes an average of 1100 hours of study to reach basic proficiency. Only Category V languages—which includes Arabic, Cantonese, Mandarin, Korean, and Japanese—are more challenging for English speakers. The fact that languages are separated into categories—the same designations used for hurricanes—suggests that the more challenging languages are things to struggle through, things that will knock you off your feet, things that require a lot of preparation and assistance to get through. Hurricane Czech is an especially insidious storm. The Czech Republic is famous for beer, wine, and the region of Bohemia, implying that the language will be, well, bohemian. 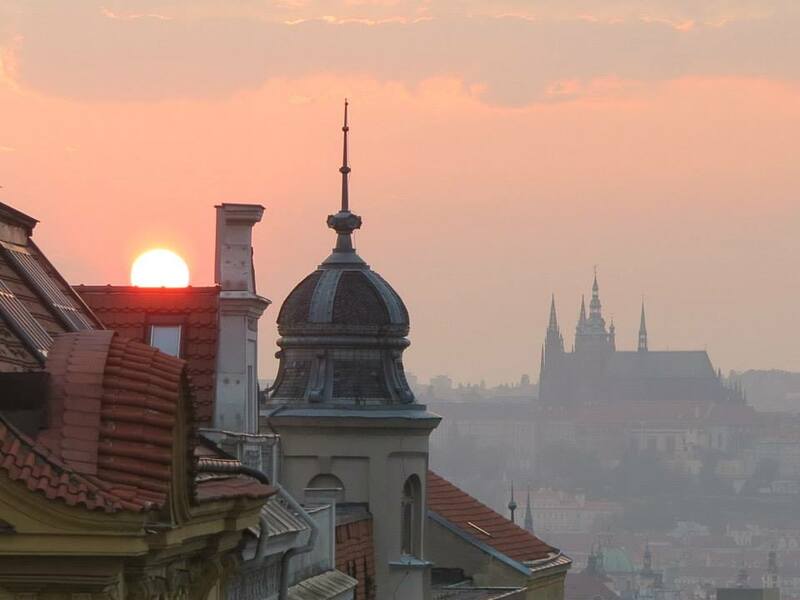 I envisioned spending my first summer in Prague memorizing vocabulary and chatting in simple Czech, sipping Moravian víno and watching the sun set behind Prague Castle. Instead, learning Czech is reminiscent of the maddening bureaucratic labyrinths created by Prague’s literary icon, Franz Kafka. Indeed, a person could go mad attempting to navigate the ins and outs of this Slavic morass. Czech contains relatively few English cognates, meaning you won’t find many problemas, absoluments, or apfels to help you along. Notable exceptions are the newer (and slightly humorous) -ovat verbs that have sprung from Czech-English interactions, such as parkovat, sportovat, or riskovat. Pronunciation is a beast, with the combination of consonants and accents making simple, everyday words like čtyři (four), zvířata (animals), zvláštní (strange), and samozřejmě (obviously) incredibly intimidating. And let’s not forget the dreaded ř, a terrible confluence of tongue placement and airspeed that is unique to Czech. It’s similar to a trilled r, but instead of trilling your tongue against the roof of your mouth, you trill with your teeth, shooting for a blend of the “r” and “zh” sounds. On top of all this, Czech has inscrutable grammar rules, complicated declensions, and seven cases, so even if you get past the basics, you’ll likely speak Czech like a caveperson for quite some time. Honestly, I’m still unsure how to properly define linguistic terms like “cases” and “declensions.” I think Kafkaesque is an appropriate descriptor here. Then again, even Kafka, the most famous Czech author, didn’t write in Czech, so that tells you something. These are the linguistic challenges I faced when my family and I relocated to Prague in the summer of 2015. I did some studying before moving, focusing mostly on pronunciation (damn that ř), but I figured that immersion would be the best way to learn. Having turned down a study abroad opportunity in college, I always felt deprived of a full immersion language learning experience, so I was determined to meet Czech head on. While I knew that living in Prague was going to be quite different from my life in northern Nevada, I was completely unprepared for how overwhelmed and alien I felt. All the pronunciation I had practiced was useless in the face of completing daily necessities. I couldn’t read street signs or nutritional guidelines on cereal boxes, let alone the complicated visa paperwork that I was signing. I felt as if a huge neon sign screaming “foreigner” was floating above my head, and the confidence I felt upon arriving in Prague soon withered into an unusable mess. My husband, thinking I could use a boost of confidence, sent me out exploring with the children mere days after we settled in. I may have changed my job dramatically, uprooted my family, and moved to a foreign city 6000 miles from home, but I am not an inherently brave person. My husband knows this, but his misplaced confidence in me got me out the door. Despite my timidity, I was determined to speak Czech as much as possible, even if that meant making a fool of myself. This determination ended in me fleeing from a fast food establishment, as I was unable to correctly pronounce the kuře in my chicken salad. I never even had a chance to order; the newness of my surroundings, the reality of being alone in a foreign country, and the anticipation of having to use an incredibly challenging language for a simple transaction were all too much, and I ducked out of line before I got to the register. I later came to discover that nearly everyone who works in customer service speaks English (or can find another employee who speaks English), but at the time, my fear seemed like an insurmountable barrier between me and ordering lunch. What should have been a simple and fun excursion ended in tears and a near-complete retreat from practicing Czech in public, at least for the first few months. Compounding my embarrassment over butchering Czech is the fact that I am rarely forced to practice. I work from home and exclusively in English, making it unlikely that I will actually have to speak extensively in Czech on any given day. While some of my fellow expats must venture forth and interact in Czech in order to conduct business, I am safe at home in my English-only cocoon, making zero progress toward fluency. This is not to say that I never leave home. 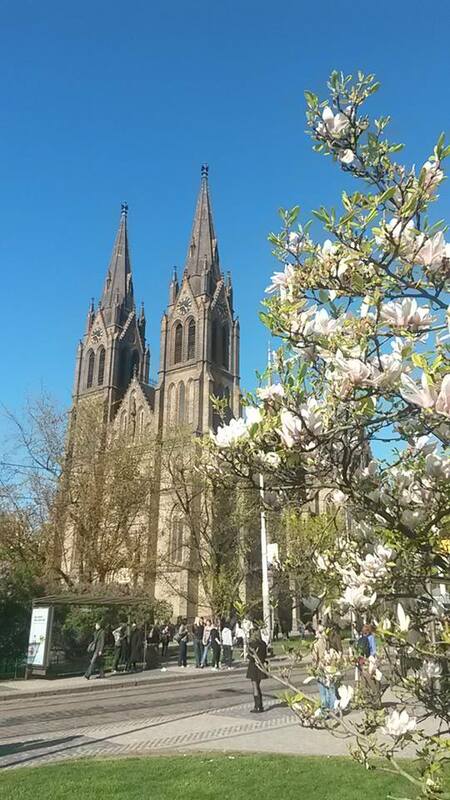 We walk through the city as a family on a daily basis, which necessitates some interaction with Czech speakers. My restaurant Czech is fairly decent, but while Já si dám café latte prosím will get me a cup of coffee, it is hardly the stuff of great conversations. 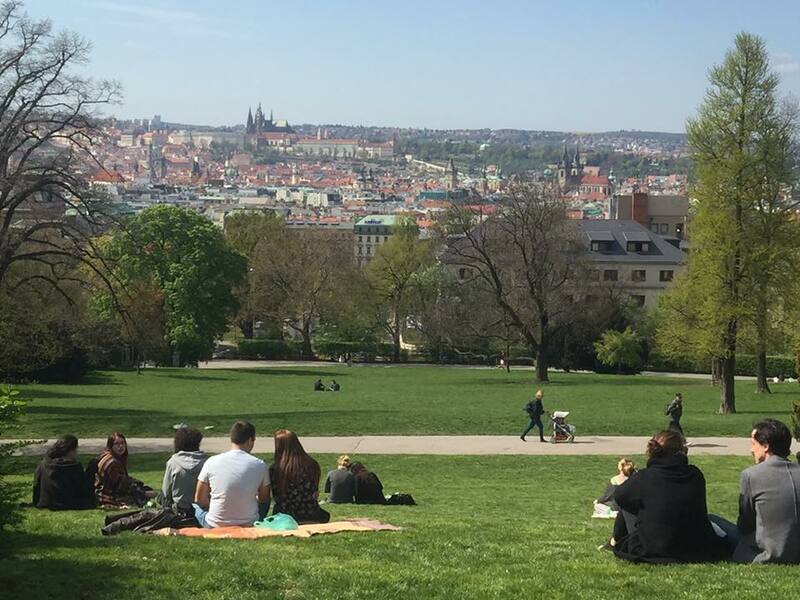 We also live in an area of Prague affectionately nicknamed “Expatistan,” which means we are surrounded with shops and cafes that cater to their English-speaking clientele. Even when I attempt to interact with baristas or bartenders in Czech, my accent prompts them to switch to English, thus ending the language lesson. As time has passed, I have gone out of my way to avoid verbal interactions where possible. I often wear headphones in public, which usually dissuades most of my fellow pedestrians. This isn’t usually a problem, as Czechs don’t tend to interact with strangers. However, I am often approached for directions, perhaps because I usually have small children in tow, which might give me the appearance of a local. These encounters make for good opportunities to practice Czech, although I suspect I have often sent my unwitting language partners in the wrong direction. I also avoid Czech by doing as many things as possible on the Internet, including ordering groceries, since interactions in the supermarket include vocabulary I just don’t have yet. And God forbid I have to use the phone for anything. My Czech listening skills are underdeveloped even in person, and the inability to use context clues or gestures on the phone makes it an object of mortal terror. In essence, I’ve built a life that disconnects me almost completely from my fellow Praguers. I’ve always identified as an introvert, but this is ridiculous. As a unit, my family is working to integrate into the Czech culture. My husband speaks Czech well enough to get us by on most days and in most situations. If he gets stuck with a particular word or phrase, we turn to Daniel, who arrived here when he was four, speaks Czech fluently, and is culturally more Czech than American. The babysitters we’ve hired for our youngest child, a precocious 15-month-old, speak only Czech, and while this leaves me struggling to explain the baby’s needs or understand their reports when we come home, it guarantees that our son is exposed to the language via native speakers on a near-daily basis. Our oldest child was already ten when we moved here, and while we decided he was too old to be thrown into a Czech-only classroom, he does attend a bilingual school and takes weekly Czech lessons. Of our family of five, I’m the only one who isn’t making an active, concerted, daily effort to integrate. So, am I going to learn Czech? The fact that I can even ask this question reveals an enormous amount of privilege, something I didn’t even realize I had until I moved abroad. I am a white, middle-class, straight woman who speaks what is usually the dominant language in most international situations. Learning Czech is a choice, not a necessity, and that puts me at a tremendous advantage over non-English-speaking immigrants. I also carry a lot of guilt about not speaking Czech, especially after living here for three years. To assuage this guilt, I take weekly lessons with a tutor, practice daily on Duolingo, and use Czech in places where I know I can be successful, but these tiny doses of language aren’t nearly enough to gain any kind of traction. I know I’m missing out on a lot. While Czechs have a not entirely unearned reputation for being blunt and gruff, they are actually warm and generous people once you get to know them personally. My self-imposed language barrier prevents me from really connecting with the people of Prague, much to my detriment. I have discovered, however, that a little effort goes a long way, and the Czechs that I interact with regularly smile kindly when I take a stab at conversing in their language. One woman in particular, a bureaucrat at the Ministry of Interior who I regularly see for visa matters, immediately and noticeably shifted from brusque and business-like to warm and helpful once I started tackling our interactions in Czech. She even occasionally switches to English, despite her initial claims not to speak the language. We now greet each other with knowing smiles when I approach her window, passports and paperwork in hand, making what is usually a painful (and yes, Kafkaesque) experience into something akin to enjoyable. Prague is also a beautiful, historic city, with entire sections of town preserved as UNESCO World Heritage sites. Even as pseudo-locals, my family and I regularly visit Charles Bridge, Old Town Square, and Prague Castle, if only to take in the beauty of the Gothic architecture and Art Nouveau flourishes. However, I can’t fully appreciate the rich history all around me, simply because I can’t read most of the signs. Even our neighborhood of Vinohrady—a residential district a tram ride away from the center—is filled with plaques and statues commemorating war heroes, politicians, and artists. However, these small, personal histories remain a mystery, as I’m usually not at leisure to stop and decode them with the aid of Google Translate or my pocket dictionary. At best, I’m a tourist in the city I call home. Even if I’m not diligent enough to take full advantage of this opportunity for immersion, I can ease my guilt by reminding myself that bilingualism is a gift I’m giving my children. While it isn’t really valued in America, bilingualism (or even multilingualism) is the rule throughout Europe, especially in expat communities. When Daniel, our Czech-speaking seven-year-old, gets together with his friends, it’s a veritable United Nations of children, where English is the lingua franca, but there’s also Czech, Danish, Latvian, French and Hungarian. The children manage just fine, flipping between languages as needed, favoring one over the other depending on context. I swell with pride listening to Daniel chat fluently in one of the most difficult languages in the world. He also struggles with that ř, but so do nearly all Czech children, putting him on par with his classmates. Daniel swears he can also speak French, and while this is patently untrue, it reveals an enviable ease with the foreign languages that he regularly encounters. I may not be confident in my own language-learning abilities, but I am positive that Daniel’s Czech will serve him well in life. Czech may not seem “useful” outside of the Czech Republic, but research overwhelmingly shows that bilingual people have a leg up when it comes to learning subsequent languages. At the very least, Daniel can serve as my translator here, which is quite useful indeed. Things have gotten better since my first disastrous forays into Czech. Yes, most interactions are still anxiety-inducing, and I have to do a lot of mental preparation when I’m in new situations, but there are no more tears, no more desperate escapes. I can get by on the basic Czech that I have, and I’m picking up new words and phrases all the time. Most importantly, I’m no longer afraid of sounding ridiculous, and I’ve become more comfortable admitting when I don’t understand something. I’ve discovered that assimilating into a culture is more than just learning the language, which is decidedly a relief when that language is Czech. I may never master the ř or get any further than basic restaurant Czech, but I can navigate the transportation system, get my children the services they need, scout out new restaurants, and find the quiet gardens that are hidden to most tourists. I’ve become comfortable and (almost) confident in a city that was once inscrutable. Last week, as I was riding a tram with my 15-month-old, a woman began speaking to me in Czech. I realized that she was asking me if I needed help with my stroller at the next stop, but while I was processing, I had blurted out promín, nerozumím všechno, which is my go-to response when I don’t quite catch everything. “Oh, I’m sorry,” she responded in English. “You look like a typical Czech woman.” I took this nice a compliment. I no longer had the stamp of “foreigner” written across my forehead. I consider this a win. 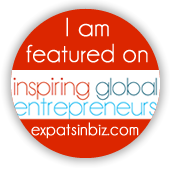 Jessica Potts has been living as a digital nomad since 2015. 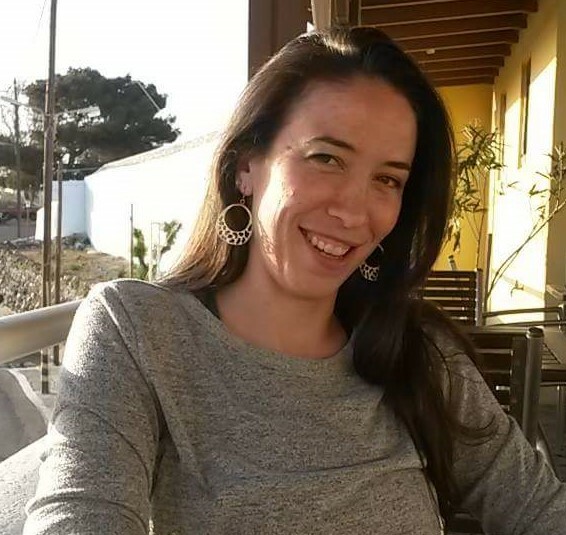 While Jessica, her husband, and her three sons call Prague home, her work as an online instructor and curriculum designer has given her the opportunity to teach from many places around the world. She received her BA, MA, and PhD from The University of Nevada, Reno, where she studied Renaissance Literature, Secondary Education, Online Education, and Gifted Education. When she’s not teaching or writing, Jessica enjoys training for half marathons, practicing yoga, and taking long walks with her family.